Lisa LaVerdiere is the Executive Director of Home For Life Animal Sanctuary, which is small but mighty, and she knows that a small sanctuary can make a big difference. For the nearly 200 animals that live at her sanctuary, Home For Life is able to give its residents a quality life and not just a warehoused existence. Lisa has worked as a dedicated volunteer in the animal welfare field since the age of 8. 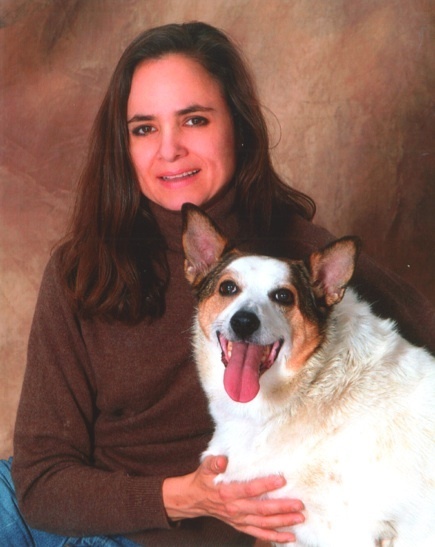 She is an attorney who practiced law until founding the sanctuary for animal welfare in 1997. Most shelters and rescues offer two options for animals: adoption or euthanasia. Home for Life offers a third option for cats and dogs who are old, or who have disabilities, health or temperament problems. She created "The Third Door," a new concept in animal rescue and welfare where special animals have options previously unavailable. Home for Life animals enjoy a quality life, where they can be themselves, run and play, and be loved and cherished for as long as they live. I asked her for some "fur-ther" insight. What's a core value of yours in building a successful selfless, not-for-profit business? "From an animal's perspective, home is a place that offers companionship with both people and other animals. A home is where a cat or dog feels secure, is well fed and is safe. Home is where a dog has the opportunities to play, run and feel useful and where a cat can climb, go outside and yet be safe. Home is where all animals can enjoy comfort, great food and appropriate veterinary care when needed. Home for Life Sanctuary-the third door in animal welfare- offers all these attributes of a true and loving home for our cats and dogs." What kind of people are your team members? "Our dedicated staff consists of 20 full and part-time employees, plus independent contractors such as groomers, veterinarians and handymen. We are staffed 24 hours a day, seven days a week. Our staff of animal care specialists are thoroughly trained in how to take care of our furry friends' special needs and disabilities, whether their issues are physical or psychological." "Working at Home for Life takes a special kind of person. The work is not easy, but it is rewarding. Animal care specialists must be patient and kind, have an outstanding work ethic, a sense of responsibility, and love the animals they care for." Is there a special example of a deserving animal? "DODI is an epileptic Harlequin Great Dane. At the age only 18 months, she was facing euthanasia. Surrendered to animal control due to her epilepsy, Dodi was rescued and adopted out twice, but her medical condition made it impossible for her to stay in a home. Now at Home for Life, Dodi's epilepsy is managed, but more importantly this dog who had been thought to have no option but death "pays it forward" through our community outreach programs. 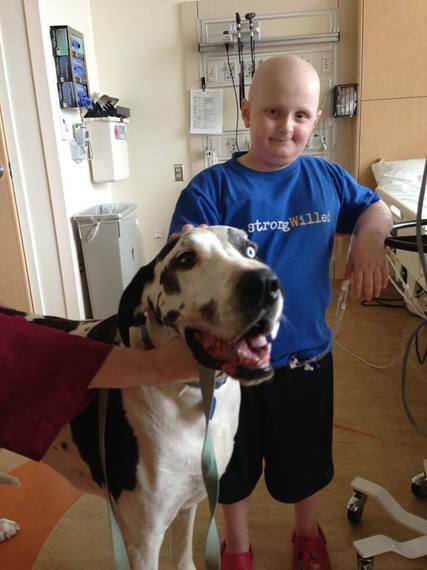 Dodi is now a well-recognized and well-loved therapy dog who provides solace and joy to terminally ill and hospitalized children and adults." She's gotten more popular press than your average dog, most recently on Today.com! How can someone else "pay it forward" to help? "Donations provide the animals of Home for Life with food, veterinary care, toys and a beautiful facility to roam freely. 100% of donations go to helping these animals receive the medical care they need, as well as the affection and freedom to help them recover from illness, disability, mistreatment or neglect. With your help, these incredible animals can lead the full, safe and happy lives they deserve." "I also blog a few times per year and often publish special needs on our blog or on our Facebook page."